In the spirit of Pet Dental Health Month I’ve been adding some information all about equine dentistry. You might have seen Will Delta Dental Cover My Horse? and last week I posted The 5Ws of an Equine Dental Float. If you’ve read these you might have noticed I keep mentioning power-drill vs. hand-powered tools. I have been skirting the topic for the last couple of weeks since it can be a heated topic all on it’s own. Typically those in the business feel very strongly in favor over one or the other type of tool. Below you’ll find two images. In the above, found in the wikipedia archives, an equine dentist is using a power-float tool to work on the teeth. The horse’s head looks to be suspended to keep it in place. In the bottom picture you’ll see Blade’s dentist using a hand-powered float. You can’t even see the device (bad angle, sorry). Blade’s head is not suspended or tied, the leadline is casually hung over her shoulder. When Blade drops his head lower, his dentist moves with him. I can’t give you a completely unbiased opinion but my research for this has significantly softened my position. I truly believe the manual instrumentation is ultimately the best way to go. Despite this, the main take away I’m seeing is truly the experience, education, and skill of the dentist. That seems obvious but it really wasn’t to me. Side note: Evaluating the skill and selecting a dentist can be impossible! You can ask Facebook or some horse chat group about recommendations, that’s usually a great avenue. Still, have you been told by friends that some doctor is great only to realize that the doctor is your worst nightmare? Everybody has a different experience, and how can we possibly choose a good practitioner when we aren’t the experts ourselves? In three years I have had three different people work in Blade’s mouth; I am learning as I go. I’ve learned to keep asking questions, always making forward progress. What’s that saying…”slow progress is still progress”? Prior to the appointment pictured above, Blade had been done by a veterinarian that used a power float. To keep Blade’s head propped up the vet used placed Blade’s chin on a crutch with padding on the handle; a pretty cool idea. We didn’t have any issues but I was also largely unaware of the importance of dental care for horses. I didn’t think to ask the vet about her dental education, and I don’t recall her doing anything with his incisors. When she manipulated his jaw she did so by moving his jaw rather than asking for his own natural movements. I wish I knew what her schooling was. The power float is quicker and requires less time in the mouth. While it’s true the power tools are quicker, that doesn’t guarantee quality. Reading through a few articles I’ve seen some dentists who seem to be very good at what they do using power tools, but they have also devoted their lives to this. I worry that many still place little importance on developing excellence in their dentistry skills. A power tool requires lots of control and patience. Contrary to my opinion I’ve included a link at the end of the page to an interesting research article called “Effect of manual and motorized dental rasping instruments on Thoroughbred’s heart rate and behavior.” The article was published in the Journal of Veterinary Behavior in 2012. Forty five thoroughbreds on the same farm were tested without sedation on a few different scenarios. Three groups of 15 horses were evaluated on heart rates and behavior during routine floating and bit seat development. Fifteen had no dental treatment, just the exam, fifteen were manually floated, and fifteen were power floated. To my surprise the heart rate and behavioral responses were significantly higher in the manual group, suggesting more pain and stress. I’d be interested to see more details of the procedure used and more studies on this subject in the future. Power tools quickly heat up. Too much time grinding can heat the tooth and cause damage to the dental pulp. High temperatures can also cause cracks in the teeth that may appear immediately or manifest later once the dentist has left. The tooth may break or become infected. How much a tooth will heat up varies based on the tool used, time, pressure exerted, and the horse’s age. Someone who is distracted, less aware, or in a rush can easily cause damage in seconds. One of the articles at the end discusses the dangers of heat and was published by Swissvet, who sells power floats. Quicker speeds in power floating can take away too much tooth at once. You can’t get it back once it’s gone. By removing too much the dentist might expose the pulp causing sever pain and the horse may be unable to eat. Similar to above, removing too much tooth may interfere with the natural curves of the horse’s mouth. There are two curves to consider, the Curve of Cameron and the Curve of Spee (more widely known). Ergonomically speaking horses aren’t built to have flat teeth. The natural curves are important for balance and physical function. I took to researching some equine dentistry to get a better feel for what the opinions are out there. There is still so much to learn and it’s exciting to know that things are always improving. My research has softened my opinion on power tools when in the right hands but I still prefer to work with my dentist who uses ergonomically designed manual tools. Allows the horse to hang it’s head at an ergonomic angle, which is more relaxing. Look up at the ceiling for a moment and notice your bite position. You can’t clench your teeth like normal when your head is stretched like that right? Propping the head up doesn’t provide an accurate idea of where the bite plain is. The speculum isn’t opened for long periods. My other dentists have used the speculum and kept it open for the entire appointment. Our new dentist only keeps it open while she’s reaching for the molars and premolars, giving Blade periodic breaks. The bonus: Blade gets a relaxing stretch at the very end and loves it! I’m not telling you how to view power and manual floating tools. Regardless of whether you prefer power or manual tools the skills of your dental care professional are the most important aspect for your horse. I’d rather have a skilled power floater than an unskilled manual floater. Don’t be afraid to ask about credentials and even references. You would want to know where your own dentist got his/her education, so ask the question! One or two courses in vet school aren’t enough. There are plenty of specialized equine dentists out there so take the time to find one. A vet with a dentistry specialization can be a great resource in evaluating the whole horse. Just make sure they went the extra mile for the dentistry training. Make sure your equine dentist pays attention to the horse’s natural movements and assesses all aspects of the mouth. This includes the incisors, not just the hooks and sharp points. Please check out these web and research articles, they were very helpful to me in my own learning and will dive deeper into the topic. 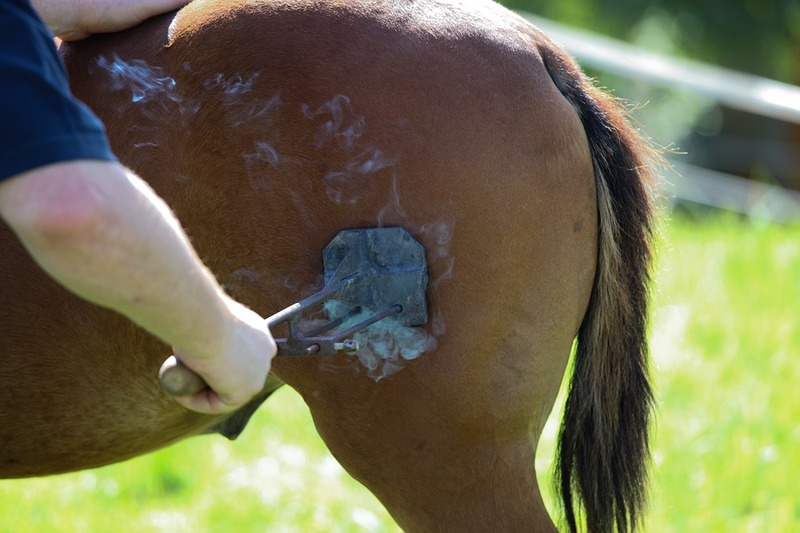 Thermal Damage In Equine Power Dentistry: Myth or Reality? 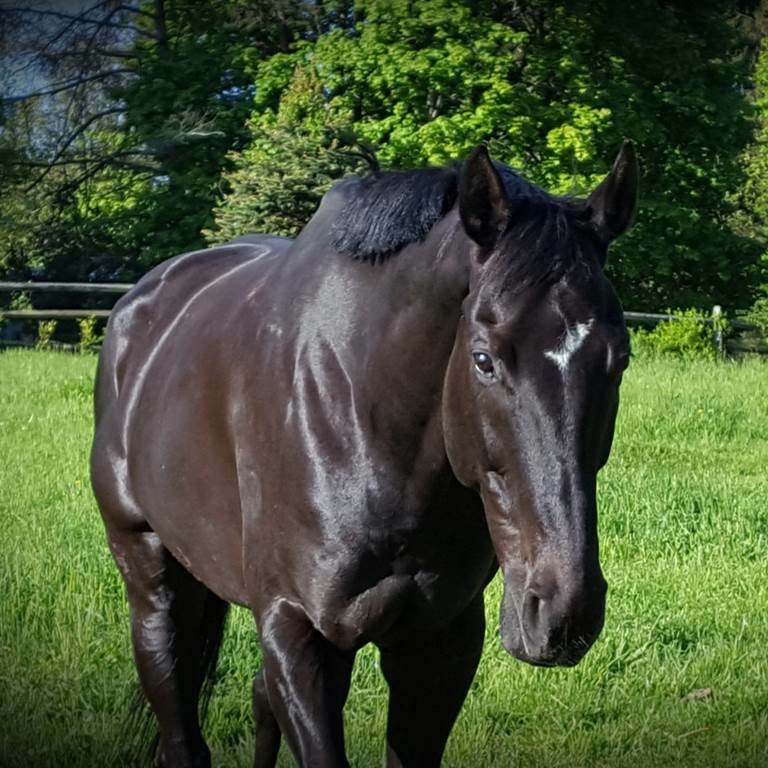 An important topic for sure, and one that is being brought up a lot in Australia right now as the Australiab Veterinary Association begins to campaign for equine dentistry to be a vet only procedure. My preference leans towards power floating BUT it must be done by a specialised equine dental vet, not a standard run of the mill vet, someone who has done further study and specialised in not only horses but their teeth. I am lucky to be using one such person and she is fantastic. It means she can sedate the horse to ensure uninhibited access to all areas of the mouth and the ability to identify other issues in the mouth outside of general float work.